Is your firm using the power of social media to its fullest? Over 90 percent of all US businesses are using social media, but over 90 percent of them are doing it badly. Used correctly, social media is an incredible publicity machine. It’s a publishing platform that lets anyone tell their story to the world. It’s a place to interact with clients and prospects. It opens the door for people to refer work to you. 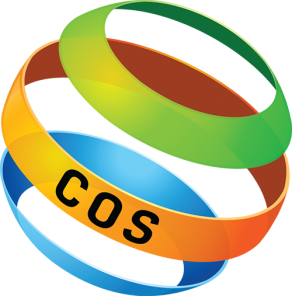 A way to expand your network beyond the confines of local networking events. A vehicle to establish and extend your reputation as a trusted advisor. An easy pathway for sending traffic to your website so they can learn more about you. In 2008, only about a quarter of Americans used social media. By 2017, that had jumped to 81%. Worldwide, over 3 billion people — that’s 40% of the entire world — are on social media. The Chinese platform WeChat, which is subsidized by the government, is used for everything from hailing cabs to filing police reports, and soon may become China’s electronic ID system. What does that mean for accountants? On a global basis, people are spending on average more than two hours every day using social media. When your content is where they are, you have a better chance of engaging with the ones who need your services. That age group sounds like the successful small business owners that most firms are trying to attract. And if you’re not where they’re spending their time, they’ll never find you. Here are seven tips for accountants to help you be one of the ten percent using social media well. Focus on just one or two platforms. Figure out where your clients hang out, and pick out one or two that they use. Remember that this is about engaging with your clients and prospective clients. The big ones to consider are Facebook, Instagram, Twitter and LinkedIn. Each of these has a different personality and attracts a different demographic. LinkedIn is more professional, but the best posts I’ve seen show personality. FaceBook has the option to create private groups where you can actively engage with and answer questions from group members. Engage, be real and have a conversation. Ask questions, and respond to comments. Don’t be afraid to show your personality. Don’t try to impress your connections with how smart you are. Instead, be the first one to offer up helpful advice. This creates goodwill among your clients and prospects alike. Share stories of how your firm has helped clients achieve success. Humans are hard-wired for stories. We remember concepts told in story form much better than a plain recitation of facts. As I’ve worked with accountants around the world, I’m continually amazed at the heroics they perform for their clients, even though some modestly say they’re just doing their jobs. A story of how you’ve helped a business streamline their processes or manage their cash flow will resonate with prospects who have that same problem. Don’t be afraid to fly your hero flag! Stories also let your clients know about all the other services you can provide. They may know your firm as the place they go to get their taxes done, but do they know about all the other things you can do? Told in story form, it’s also easier to understand what these services are, and when someone might need them. Share useful information, and not just the latest tax and accounting news. Your best clients also need help with hiring, firing, working with multiple generations, setting goals and managing growth. Include images and video. Both of these are highly shareable. Photos and video express the personality of your firm. Video is getting bigger daily, and technology improvements make it easy to produce . Anyone with a cell phone can post to FaceBook or LinkedIn. Address any complaints immediately and proactively. Social media is a fertile bed for complaints about poor service to run wild. Addressing those complaints right away and offering a public apology and remedy will go a long ways towards defusing tension. You might even turn what could have been a public relations nightmare into a triumph. Apply these ideas, and your firm will move into the ten percent of social media savvy businesses. It’s about building a community of engaged fans who will use your firm and who will gladly refer others. Need help with your social media strategy? I’m opening up a few spots in my calendar to help accountants develop and implement their social media strategy. 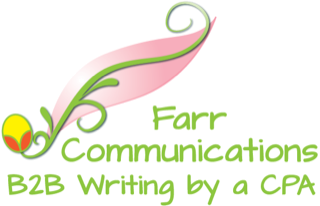 Drop me an email at liz@farrcommunications.com to get started.